A commercial overhead door installation is vital for many businesses, but many fail to take full advantage of what these doors have to offer. By adding insulation to your commercial overhead door, you gain access to several additional benefits for your facility. Here’s a closer look at why this investment is worth the effort. Garage doors can serve as a major source of energy loss in warehouses and other commercial properties. By adding insulation, it’s much easier to avoid heat loss during the winter to keep your facility at a steady temperature. This will reduce how often you need to run your HVAC equipment, lowering utility bills and minimizing maintenance that results from excessive wear and tear. Products and equipment can be surprisingly sensitive to temperature changes. 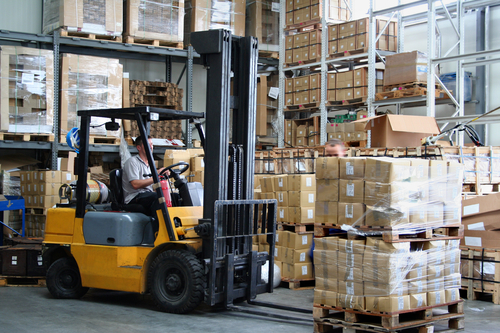 For example, extreme cold can lower tire air pressure or even cause a dead battery in motorized warehouse equipment. Maintaining a consistent temperature at all times will ensure peak operation from your equipment and protect your products from unwanted damage. No warehouse is completely immune to accidents. If a piece of heavy equipment bumps into an uninsulated overhead door installation, it could cause significant damage. Insulation provides a protective layer of reinforcement that will make the door more resistant to impact and weather-related hazards. Improved durability will reduce any expenses associated with repairs or buying replacement doors. If you need help insulating your commercial overhead door installation, contact Doorworks. Serving Wood County, WI, since 1992, these door repair and installation experts often provide same-day service — including 24/7 emergency support — so you will get the results you need. To learn more about what this commercial door service company will do for you, visit them online or call (715) 424-5777.